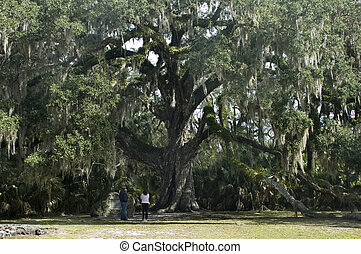 Florida live oak tree. 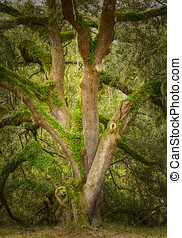 Beautiful live oak tree on a spring day. 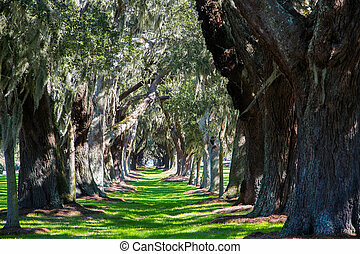 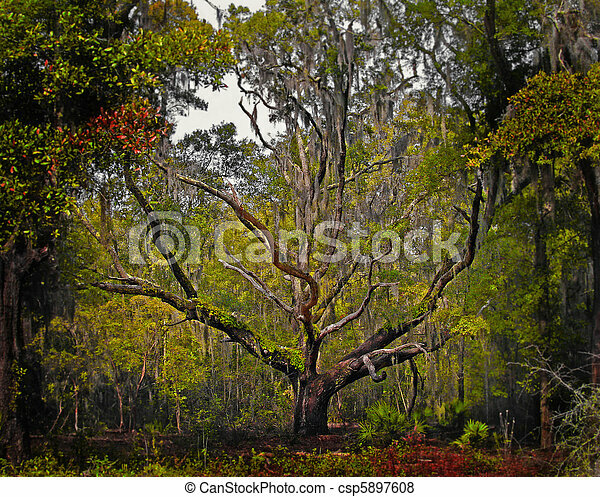 Live oak trees at a national estuarine reserve at Florida, USA. 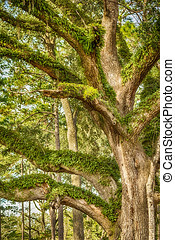 The Fairchild Oak, an ancient oak tree, in Ormond Beach, Florida. 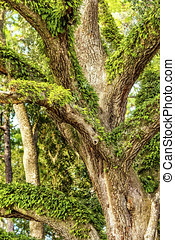 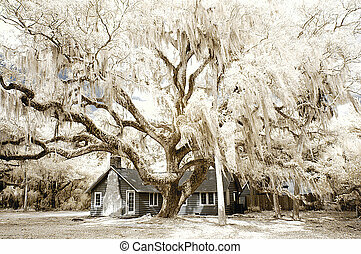 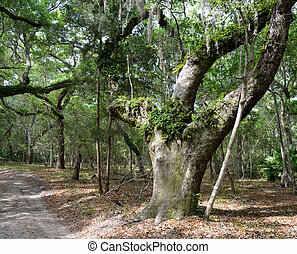 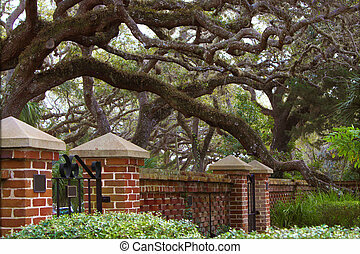 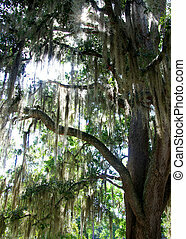 Image depicts an old \"cracker\" style house in Florida with Spansih Moss on an old Live Oak tree. 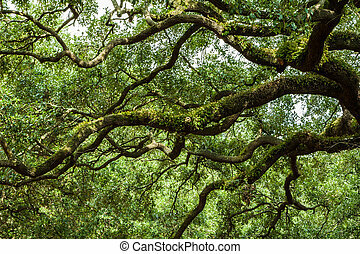 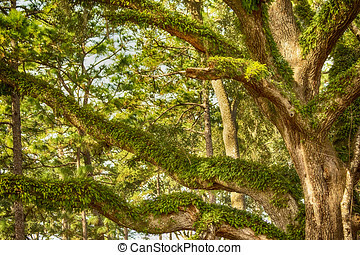 Resurrection Fern thrives in the hot humid south on huge Live Oak Trees. 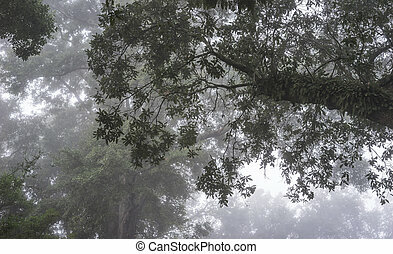 View shown looking up into the forest canopy in dense daybreak fog. 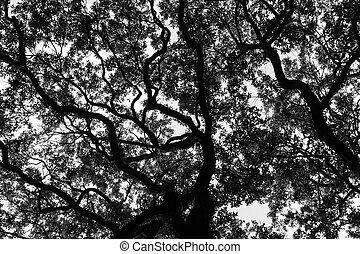 Good background or mood shot.